Growing up in an Italian household means I’m well acquainted with radicchio. It’s a common vegetable used widely throughout Italy, though I don't see it so much on plates in other countries. 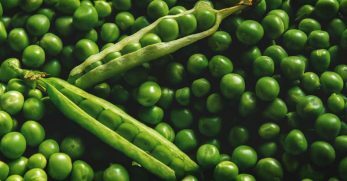 If you're not familiar with the pretty veggie, maybe it's time you became so. Growing radicchio in your garden adds a pop of vibrant color as well as a rich flavor to your dinner table. It can also save you some money since radicchio in the grocery store can be pricey. 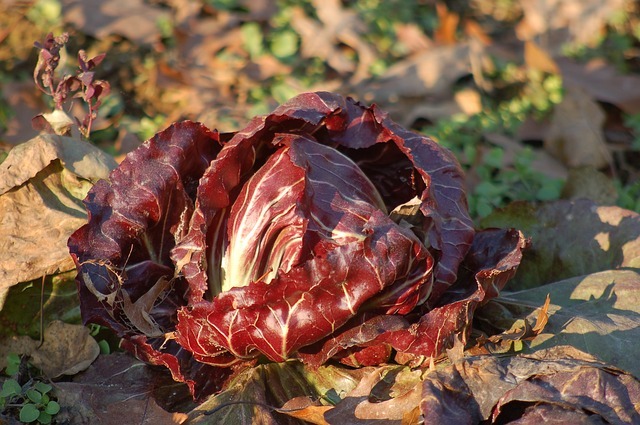 Radicchio is Old World chicory with wine-red leaves and a white center. Despite its appearance, it's not related to cabbage. 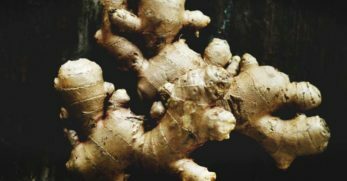 It has a tangy flavor that adds a pungent, deliciously bitter note to your dishes. 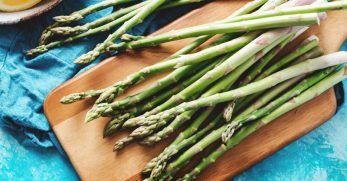 Many people don’t know that this is a frost-tolerant vegetable because they associate it with a warm climate. 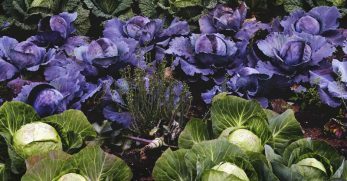 You can grow it as you would cabbage, and cool weather makes it a bit sweeter! If you check out the gardens in Italy, you’ll find that there are at least 15 varieties of radicchio out there. Not all of those are well-known in the United States. 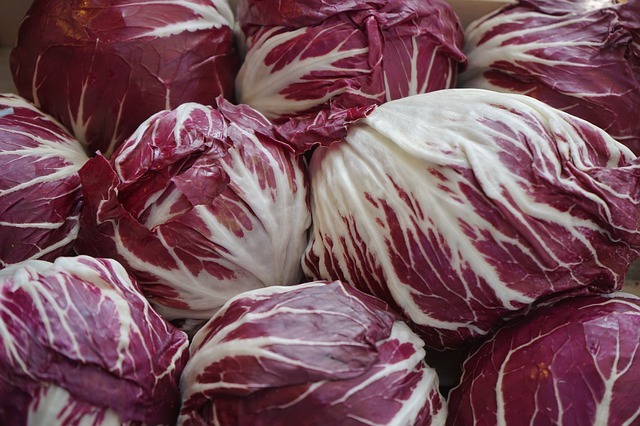 There are five varieties of radicchio in the states that are common to grow at home or buy at your farmer’s market. That said, keep an eye out for the more unusual varieties like Lusia White, Fior di Maserà, Bassano, and Chioggia Giant Catalogna. If you can find them, you're in for a treat. Chioggia is the classic variety you usually see at the store. 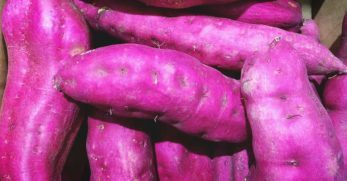 It looks like a purple cabbage head but has a stronger flavor. 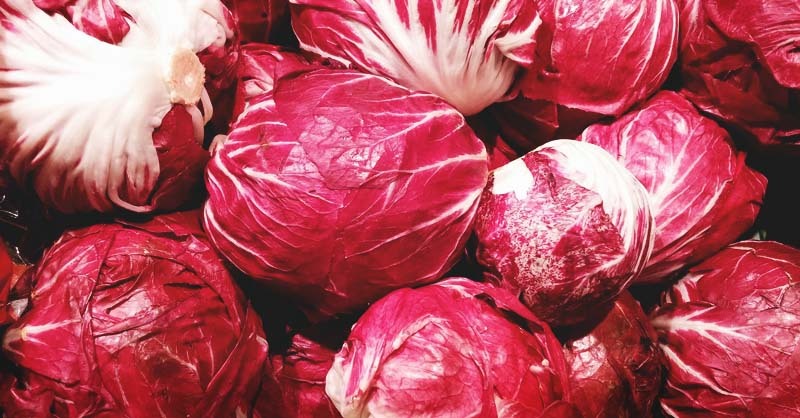 Commercial growers produce it all year, so it’s easy to find and a good choice if you’re only starting to enjoy radicchio. Cultivars include Palla Rossa and Rossa di Verone. 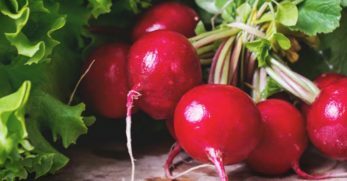 This variety looks like a large, red endive, and has a mild flavor. It’s tall and pointed with deep-red leaves. The leaves are narrow and structured, giving the plant a bit of a football shape. Cooking mellows the bitterness out a bit. Treviso Tardivo is an enticing variety because it goes through a longer growth period that increases its flavor profile. The extended growth also helps to make the texture firmer. 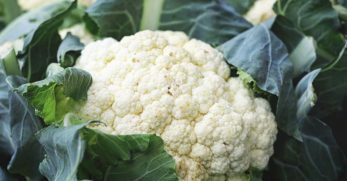 Chefs love this variety because it holds its shape better, and doesn't wilt as much in cooking. 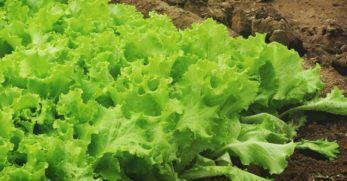 It's beautiful in the garden, with a lettuce-like appearance with a rose-like center. This type has creamy white leaves with red speckles rather than the deep-red color that you’d expect. It’s a bitter green but prepared the right way it's a treat. Puntarelle is a more difficult variety to find, but it's worth the hunt. 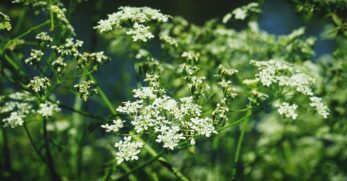 The plant looks like a clump of fennel topped with asparagus stems. This type needs to be blanched for the best flavor. Radicchio grows in zones 4-10. Sow radicchio seeds directly into your garden starting in the early spring 2-3 weeks before the final frost of the season. Sow in late summer for a fall harvest. 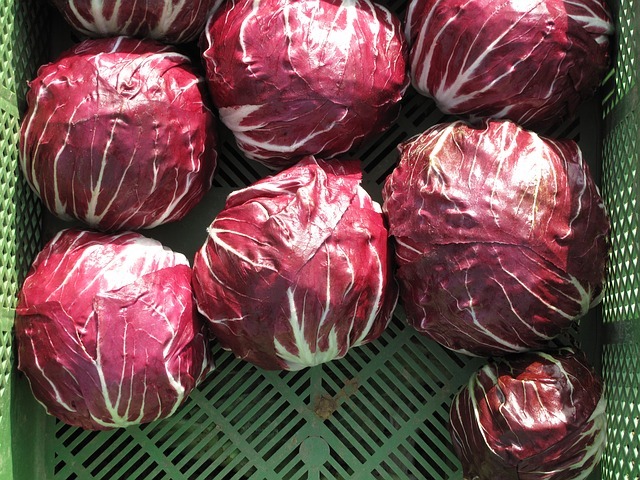 Radicchio grows best when the weather is chilly outside, so it’s an ideal spring and fall crop. Start indoors 4-6 weeks before the last frost date in the spring, and 8-10 weeks before the first frost date in the fall. Radicchio prefers to have a sunny location in your garden, but it can handle a bit of shade, especially in the fall. 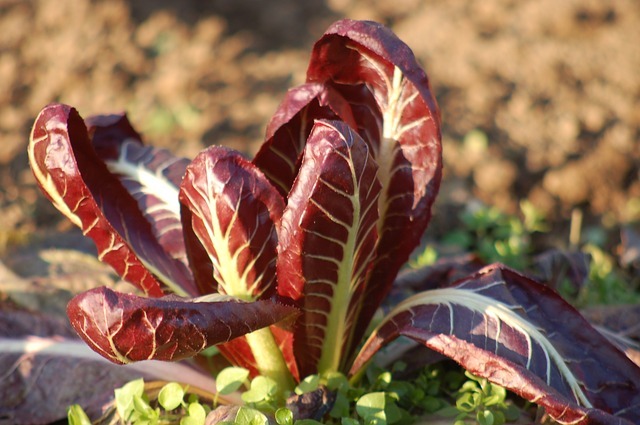 Spring planted radicchio should be planted in full sun to give it some warmth during the cooler weather. For your fall crop, pick a location that has a bit of afternoon shade to help the seeds germinate and not suffer in the heat. Mix organic matter into the soil before planting. The goal is to add some texture and nutrients to your soil. Organic matter helps to improve the moisture content in the earth. Due to their shallow roots, radicchio needs to have the ground consistently moist. Radicchio prefers a sandy, humus-rich loam with pH between 6.0-6.5. Spread the seeds in rows 12 inches apart with 24 inches between rows. Cover the seeds with 1/4-inch of soil and pat it down. You can expect the seeds to germinate in 7-14 days. As they grow, thin the seedlings to 12 inches apart when they’re around 3 inches high. Plant radicchio seeds in biodegradable containers and harden off for one week before planting in the garden. Transplant in the spring while temperatures are still cool but not freezing. Plant in the fall as temps start to cool down. Radicchio grows fabulous in containers so long as you use a seed-starting potting mix with the proper nutrients. Use a large pot that is at least 8-inches deep, and make sure to water the plants frequently. One of the nice things about growing it in containers is that you can move the plants to the shade when the temperatures start to get too hot during the day. Because of its shallow roots, growing radicchio needs frequent, shallow water. Keep the soil well-watered to encourage healthy, prolific plants and to reduce bitterness. Each week, radicchio needs around 1 to 1.5-inches of moisture. A drip or trickle system is best because the water comes out at a low pressure right at the soil level. High pressure can disturb the soil, which radicchio does not like. If you water with an overhead system, irrigate earlier in the day to give the foliage time to dry off before the evening. Wet leaves can burn in the hot sun, and the lingering moisture can lead to disease issues. 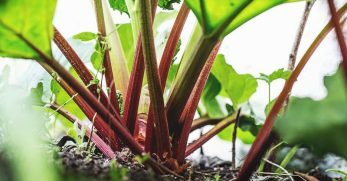 Be sure to keep the weeds at bay during the growing season because they battle with growing radicchio plants for the water and nutrients in the soil. The best method to control them is to use organic mulch to prevent weed seeds from germinating. Mulch also helps to retain moisture, so it’s a double win. 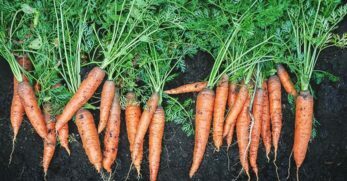 Mix well-rotted manure into the soil before planting to give seedlings a nutrition boost. Side dress with a low-nitrogen fertilizer four weeks after putting the plants in the ground. You don’t want to fertilize with too much nitrogen because it can cause the plant to bolt. Also, too much nitrogen increases bitterness. About ten days before you intend to harvest your radicchio, blanch the leaves to make them taste sweeter and milder. Place a paper bag or small container over the inner leaves of the plant. The outer leaves of the Treviso variety can be folded over the plant and bound to blanch the inner leaves. Radicchio has to battle against a variety of pests and diseases that enjoy the plants as much as humans. Here are a few you might encounter in your garden. If you notice small, round reddish-brown spots with a white border developing on your leaves, you might have Alternaria leaf spot. This disease causes the plant to wilt, and it’s even worse in humid or warm, wet weather. To avoid this disease, water plants at the base, not from above. Remove any infected plants, and make sure you have ample air circulation throughout your garden. Bacterial leaf spot causes dark, necrotic spots on the leaves of radicchio plants. As the disease progresses, it can cause the entire leaf to die back. The spots may have yellow halos that can occur anywhere on the leaf. It's extremely contagious, so if you see it in your garden, take quick action. The pathogen that causes this disease is carried by seed, and it can spread rapidly in wet, warm conditions (77-86°F). Keep your garden clean of debris and weeds, and remove and destroy any impacted leaves. If this fails, use a copper-based spray. Downy mildew causes yellow or white patches on the surface of leaves. The underside of leaves will be covered in a white, powder-like texture. The disease can eventually cause radicchio leaves to die back. Downy mildew pops up in the spring and late fall when temps are cool, and there is more moisture in the air. Make sure plants have plenty of air circulation around plants, and be sure to water at the base. Keep your garden clean of debris and weeds and destroy any heavily infested plants. You can also use a copper spray. Black Rot is a bacterial disease that loves warm and humid conditions. It causes yellow-orange V-shaped lesions on the edges of the leaves. Eventually, the leaves will dry and fall off the plant. 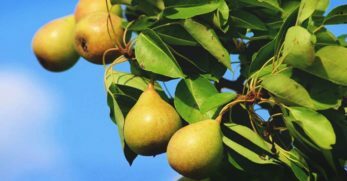 To help avoid black rot, you should try to rotate your plants and avoid overhead watering. Make sure the plants have proper air circulation; overcrowding the plants doesn't ever lead to anything good. 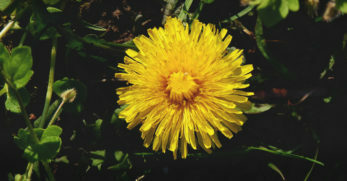 Also, make sure to control the weeds and clear away debris to stop diseases from overwintering. If you start plants from seeds, you might encounter damping off. At first, your new seedling appears healthy. Then, all of a sudden, it wilts and dies, leaving you confused. Damping off is caused by a fungus that loves to grow in moist areas. So, if your seedlings end up damping off, it means that the potting soil was too wet or you have too much nitrogen. To avoid damping off, don’t over water and avoid using a fertilizer with too much nitrogen. Thin your seedlings to increase air circulation. Aphids are frustrating little insects that are green, red, black, or peach. They spread diseases by feeding and sucking on the undersides of the leaves, leaving a sticky residue behind. Ants love that sticky residue! One of the best ways to combat aphids is by introducing a natural predator to the garden such as lady beetles or wasps, who love to eat aphids. You can use insecticidal soap, neem oil or spray them off with a jet of water. As you might imagine, these green worms love cabbage heads, but they will happily feast on your radicchio as well. Cabbage loopers are around 1.5 inches long and they burrow through the heads of plants. Getting rid of these are tricky, but your best method is to hand pick them off and use floating row covers to stop the loopers from laying more eggs on your plants. Leafminers are insects that dig under the leaf surface, leaving behind irregularly shaped lines. They lay yellow larvae, and adult leafminers are small black and yellow flies. While leafminers won’t kill your plant, it can destroy and disfigure your plants. Treating leafminers is tricky. 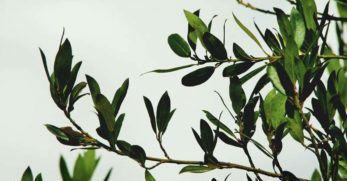 Aside from using an insecticidal soap, the best option is to remove the affected foliage. If you see small, shiny hopping critters on your growing radicchio, you may have flea beetles. The bothersome pests come out in the spring when temps reach 50°F, and they nibble shotholes into leaves. They can kill young seedlings, and though they don't usually kill mature plants, they can spread disease and cause unsightly damage. Spray plants with a mix made out of 2 cups rubbing alcohol, 5 cups water, and 1 tablespoon liquid soap. You can also use white sticky traps and a dusting of talcum powder. Slugs and snails love to nibble on radicchio. Use your favorite DIY snail control to keep them away. 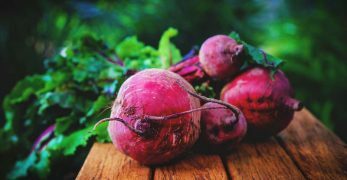 Don't plant radicchio with endive or escarole. How you harvest radicchio will depend on the type of greens that you’re growing. Heads of radicchio should be harvest when they’re firm to the touch, which is around 65 days after sowing. Make sure you don’t wait too long harvest, because the older the head, the more bitter they taste. To harvest the heads, cut the entire plant above the soil line. If you cut the head right at the stem, you may get a second head later in the year. You can choose whatever stage or size to harvest. Some people want them to be as large as an orange or grapefruit, while others prefer them young and tender. The leaves of radicchio can be harvested at any time, making it an excellent substitute for lettuce in salads. You don’t have to use your radicchio immediately. 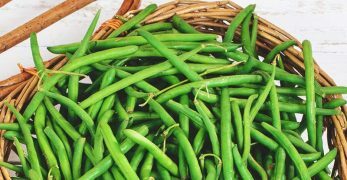 It stores well in a perforated plastic bag in the refrigerator for 3-4 weeks. Radicchio might be best known as an addition to salads. You can eat the entire head, but some people prefer the center of the plant over the outer leaves. 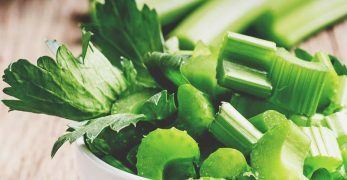 I like to use the outer leaves for things like pizza and soup, and the inner leaves, which are more tender, for salads and raw eating. Radicchio can be eaten raw or cooked. Salt helps to counteract any bitter flavor in the leaves while drawing out the sweetness. You can saute the leaves in olive oil and salt for a side dish. Radicchio pairs well with acid flavors like lemon and it's delicious baked. 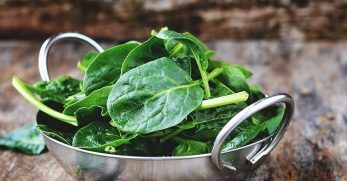 Get creative with it – you can use the leaves as a bowl to hold crumbled cheese, nuts, and meat, or as a substitute for kale in soups or risotto. Growing radicchio at home isn't hard. 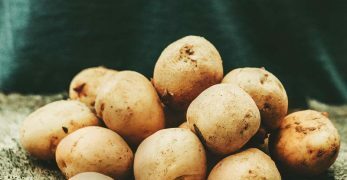 You can have several harvests in the spring and fall, so you have lots of opportunities to try this unique vegetable in a multitude of dishes. Give it a try! You might love it.